LG 28 L Convection Microwave Oven (MC2844EB, Black) delivers delicious and healthy cooking without taking too much your precious time. 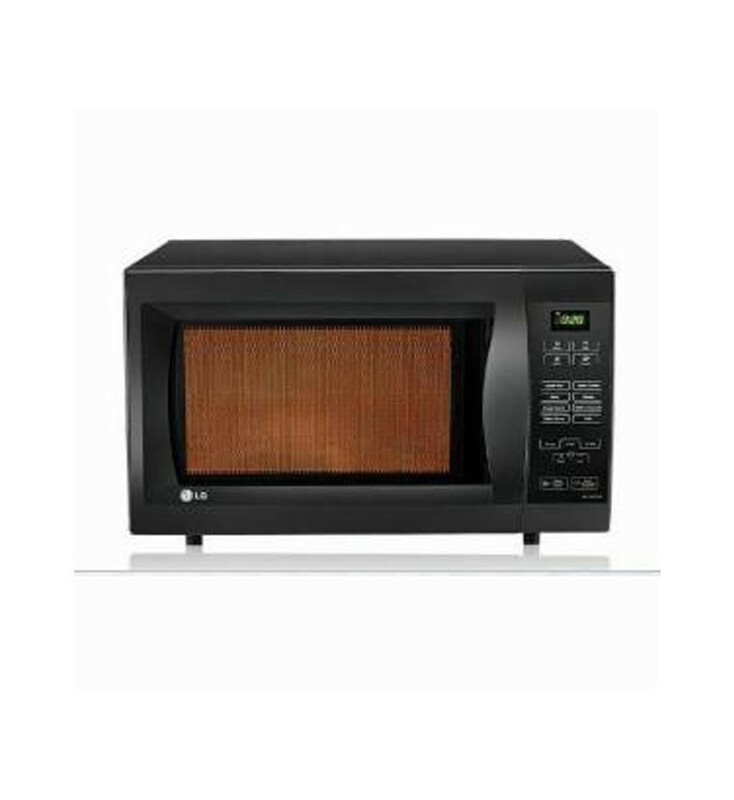 This 28-liter convection microwave oven from LG brand has stainless steel cavity, which is very popular for clear reflection and evenly heat distribution inside the cavity. Please make sure that this cavity is not a coated cavity so it doesn’t peel off. This LG convection microwave oven has multi-function cooking modes. Yes, it comes with four different cooking modes for preparing juicy and delicious meals. On the other hand, it requires very less space to be installed in your kitchen. On the other hand, the auto cook menu lets you prepare meals effortlessly and quickly. You just need to put the prepared ingredient in the microwave and push the right button on to start the cooking process. You can easily prepare your favorite Indian dishes at the touch of a button.